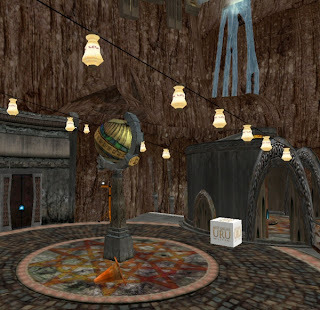 I happened upon the Myst Online Uru build quite by accident, and teleported over to take a peek at what was there. 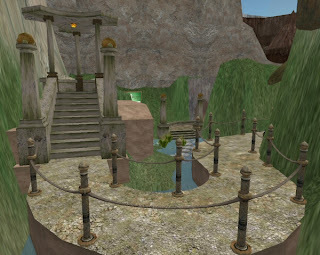 The island is littered with little caves, sliding doors, videos, a free goody bag and enticements to visit the web site and try the game for free. 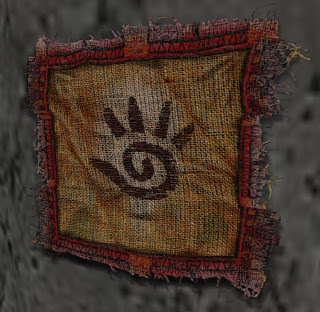 There are a few puzzles and embedded teleports that give the feel of the "through the book" travel that Myst employs in their games. 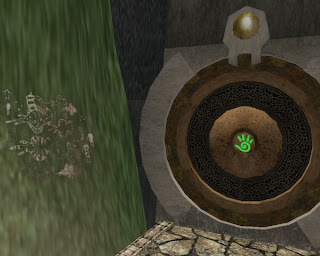 There's also a D'Ni, a bracelet in the freebie box that allows you to "hear" the teleport sound, but as the island is "NO BUILD" I wasn't able to open the box to find that out until later. 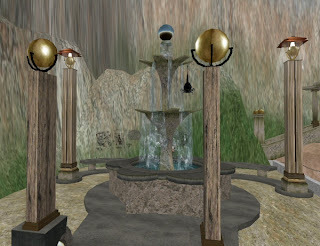 Myst Online Uru utilizes a number of building techniques, including shiny, so make sure you have shiny and local lighting on, and they recommend ramping your draw distance up to 512 m and changing the the world setting to full noon. The oddness of being in an online 3D environment that was replicating the look and feel of another 3D online environment was inescapable. I was hoping for a few Myst- type puzzles, but it's a fun visit and a strikingly beautiful build. Kudos!